Protests in Cairo's Tahrir Square entered a fourth day on Tuesday, as thousands of demonstrators prepared to hold a "March of the Millions." Protesters in Tahrir are demanding the resignation of Egypt's military rulers, and in particular of field marshall Hussein Tantawi. "The people want the downfall of the field marshall," thousands shouted in unison over the past three days. HuffPost looks back at the events leading up to this week's protests, starting in February, when hundreds of thousands of Egyptians gathered in the Egyptian capital's Tahrir Square to demand the ouster of then-President Hosni Mubarak. 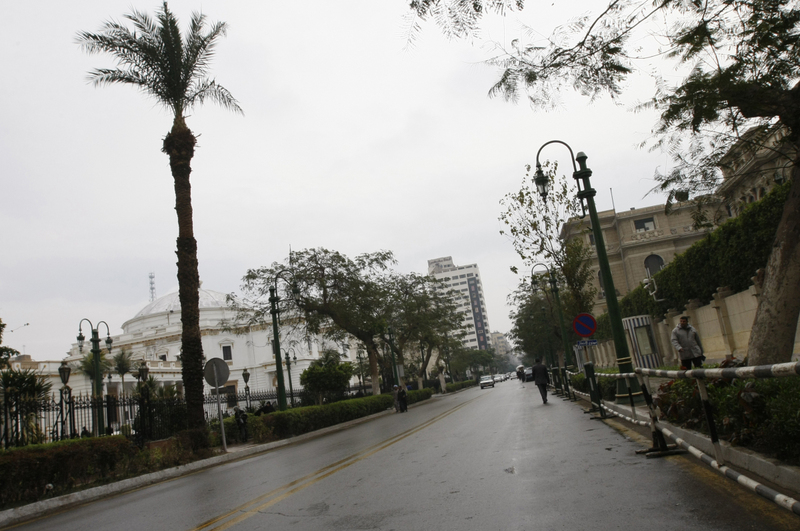 <em>A general view shows a deserted street in front of Egypt's parliament building in downtown Cairo where a man set himself alight on January 17, 2011, in an apparent copycat replay of the self-immolation of a Tunisian graduate which sparked a popular revolt, the official MENA agency said. (Getty) </em><br> One month after <a href="http://www.aljazeera.com/indepth/features/2011/01/201111684242518839.html" target="_hplink">Tunisian fruit seller Mohamed Bouazizi set himself on fire</a>, Egyptian <a href="http://www.guardian.co.uk/world/2011/jan/17/man-sets-himself-on-fire-egypt-protest" target="_hplink">Ahmed Hashem el-Sayed followed suit</a> in Alexandria.